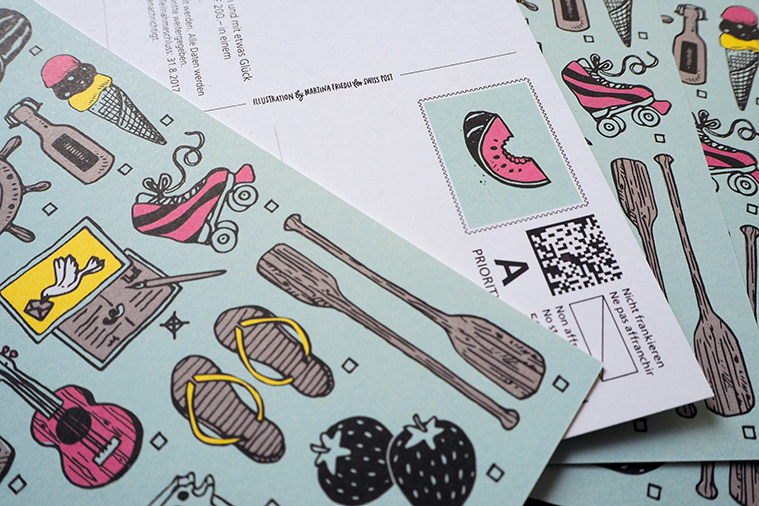 Client: Swiss Post // Task: Creating a summer postcard for the Swiss campaign "Postcard your summer". 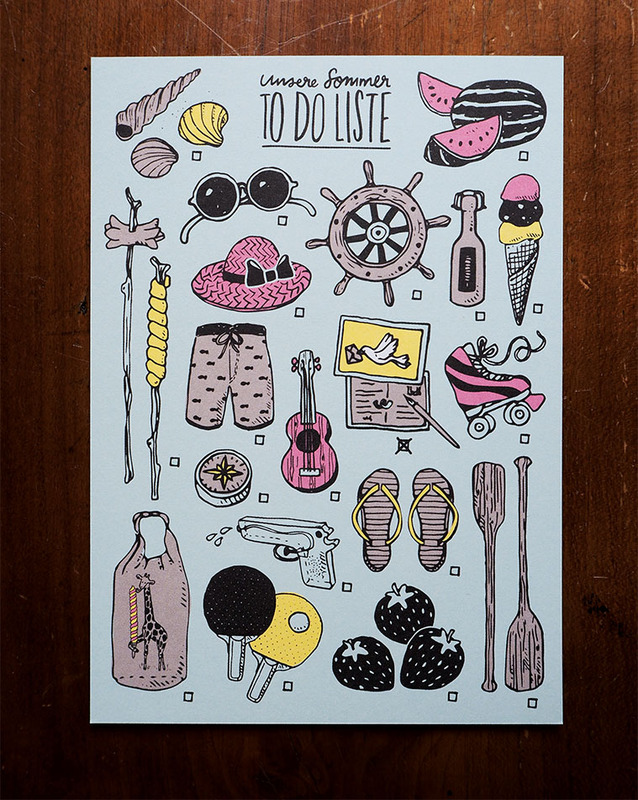 I’ve created a To-Do-List for summer, on which all the "tasks" are illustrated and you can cross them off. 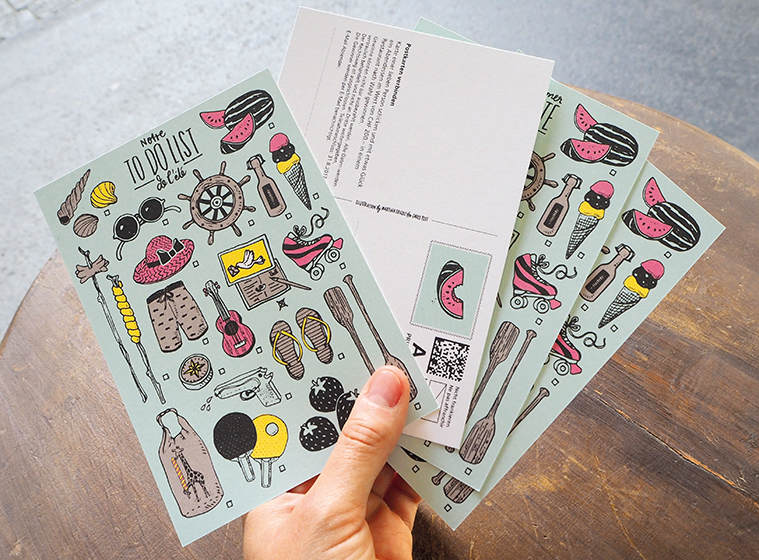 The postcards were distributed at public places all over Switzerland.